Space, light and air all have the power to expand our conscious hours. 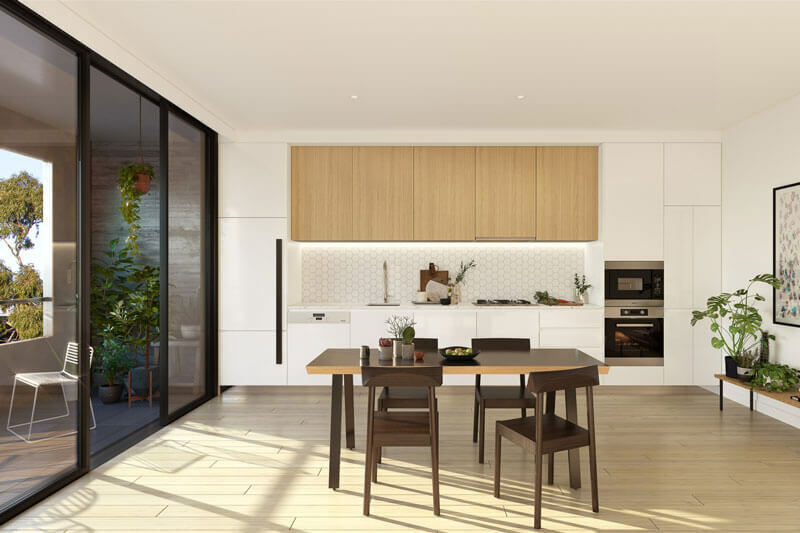 Each apartment is centered around an open plan living space to promote a strong connection to the outdoors and allow views and light to spill in. Beyond your home – enjoy a variety of green spaces, open woodlands and rushing water at either Gahan Reserve on Vere St, the Abbotsford Convent, Yarra Bend Park or Dight Falls – all only a short stroll away. Habitat is a place to centre yourself and take the time to draw in your surroundings. 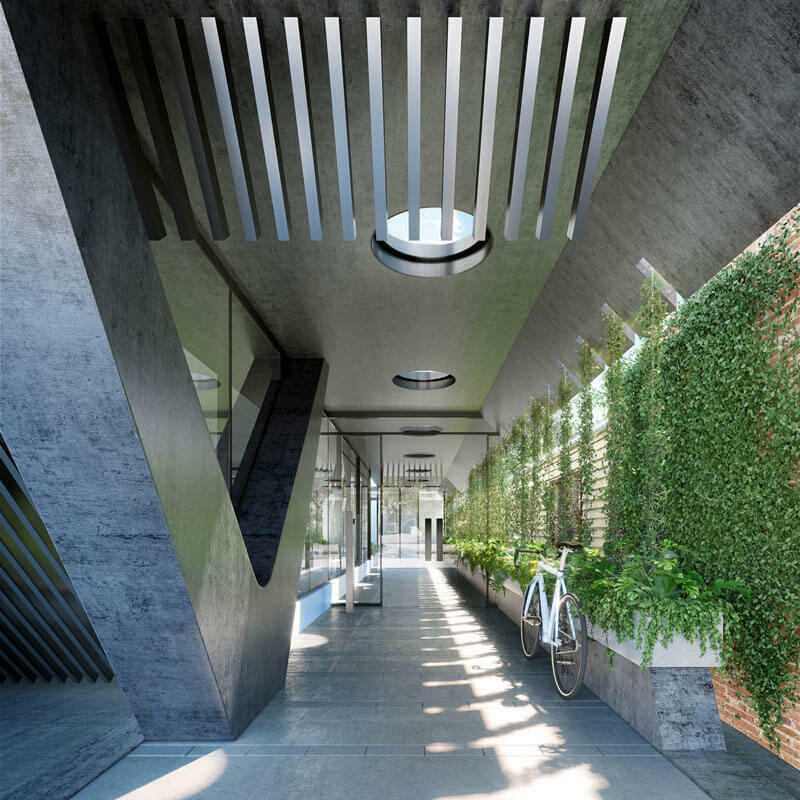 The central courtyard is filled with climbing fig, wild iris and flax lily that will uplift and inspire inhabitants. Amongst the foliage a maple tree will transform with every season, turning golden during Autumn and budding in Spring. This central space will allow for cross-flow ventilation across and through the building, giving each home access to light and air. 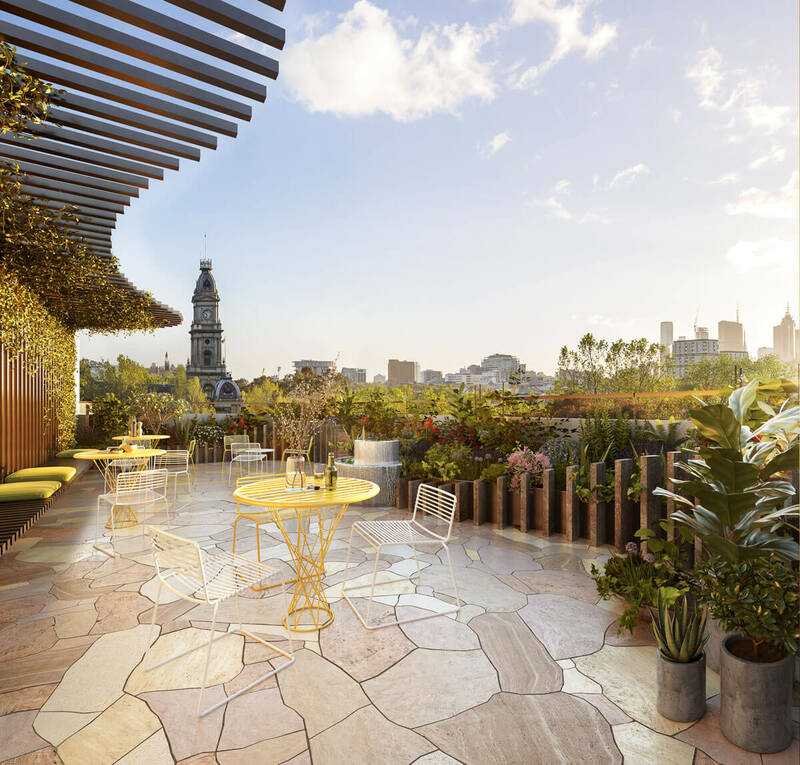 From the jasmine-scented entry to edible plants and herbs on the rooftop – plants will imbue this place with beautiful sights and smells. Habitat is designed with a focus on lowering its impact on the environment, making it easier for its inhabitants to live sustainably. This ethos awarded the building a NATHERS six star energy rating. Habitat was designed to bring people together. Either by sharing a home, meeting on the communal rooftop or getting to know the neighbourhood, this place will inspire a sense of community and well-being. 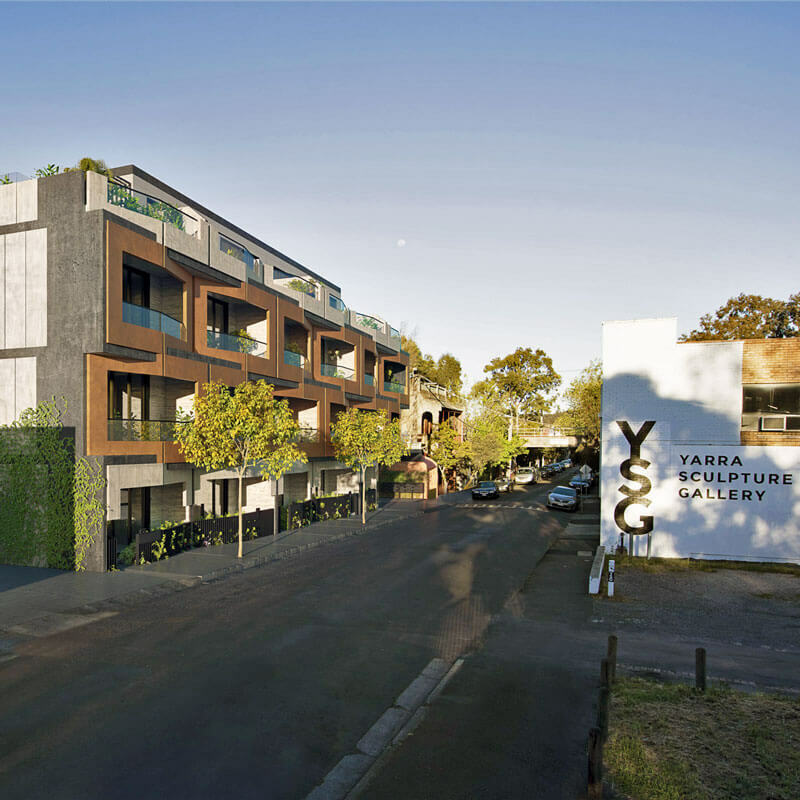 Abbotsford is one of the most village-like locales in Melbourne, priding itself on beautifully restored pubs, a winding river-side cycle path and rambling community garden plots. 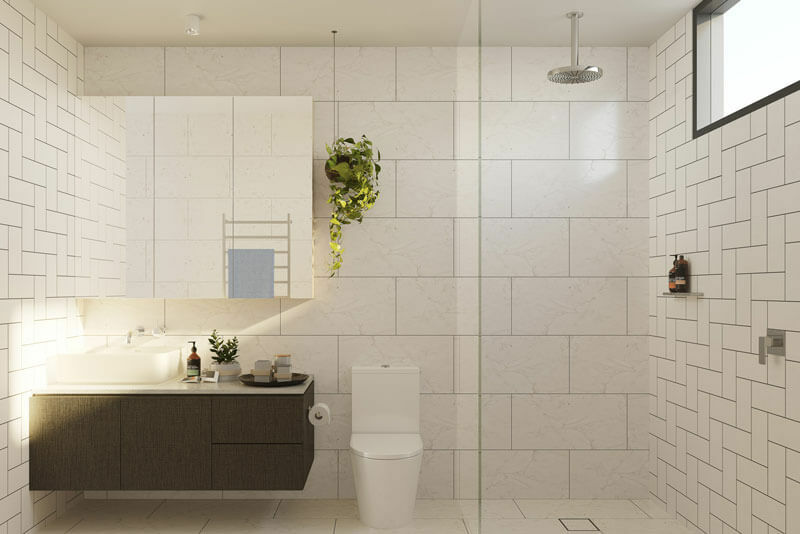 Every design decision was made with sustainability, functionality and longevity in mind. The facade of Habitat has been constructed using materials to enhance texture, beauty and wearability. Elements are chosen to fulfil both form and function, from the weathered character of the facade to the fine interior finishes and expansive glass walls. These are homes attentive to a culture of easy living.